What to Watch Out for When Buying Used Golf Balls? On the surface, buying used golf balls sounds like a great idea. Buying new golf balls can get quite expensive, especially for the beginning golfer who tends to lose several balls during each and every round. By opting for used models, you can save money and you won’t have to worry so much about hitting the ball into the woods from time to time. But is spending your money on used golf balls a good choice? Well, that depends. You can find plenty of great deals when shopping for used golf balls, but you can also waste a bit of money as well if you aren’t careful. In this quick guide, we will provide some advice on how to find a good deal while shopping the used ball market. When you are purchasing used golf balls, you are obviously purchasing balls that have been used previously by other golfers. Most likely, these balls were recovered from the woods, ponds, and other places around various golf courses. So, by definition, these aren’t going to be golf balls that are in great conditions. If a ball has been sitting at the bottom of a pond for an extended period of time, for example, it is going to have suffered damage that will seriously affect its performance. With that said, not all used golf balls are going to be badly deteriorated or otherwise damaged. If a ball is recovered shortly after it is lost, or if it has been lost in a dry, arid environment, the ball might still be in great shape when it is resold on the used market. You can think of buying used golf balls in much the same way that you would think about buying a used car – you might get a great deal, or you might end up wasting your money. To be sure, buying used is never going to be as safe as purchasing a new product of the shelves. If you buy used golf balls online, you are going to have limited control over what you receive. After all, you aren’t going to be able to see the exact balls you are purchasing, so your fate will be left up to the package that you happen to receive in the mail. However, if you buy used balls in person at your local golf shop, you can use your eye to pick out the best options. 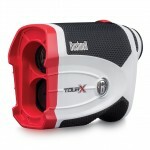 Specifically, you want to look for golf balls that have not been discolored over time. Significant discoloration means the ball has been out in the weather for a long stretch, and it likely will no longer perform as it did when new. When you shop for used golf balls, you will notice that they are usually graded on a scale to indicate their overall condition. While the exact grading scale used will vary from company to company, the following is a general outline of the typical scale. AAAAA – These golf balls are considered to be in mint, or like new, condition. You will barely be able to tell that these balls have been used at all. Most likely, this is a ball that was placed onto the tee as new and immediately hit into the woods with the first swing. AAAA – A step down from the mint balls at the top of the scale, these are still very good golf balls. A ball that grades out as a AAAA has probably only seen a few holes of use before it was lost. AAA – We are now getting into the part of the scale where you will see golf balls that have obviously been used for a round or two. These are balls that are still playable on the course, but they are going to have blemishes of some kind. AA – At this point, you really shouldn’t be planning on using the golf ball out on the course. These are practice balls, as they have been damaged in some way and likely discolored as well. Balls sold at the AA level are usually quite affordable, but are useful only for adding to a ‘shag bag’. A – The bottom of the barrel finds golf balls that are badly damaged. These balls might not even be that great for practice purposes, so you will need to find a great deal to consider balls at this end of the scale. 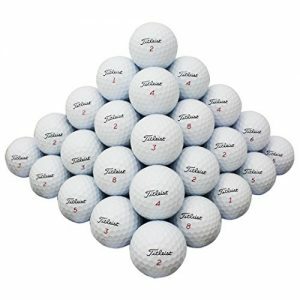 There are a number of online locations that sell used golf balls, including Amazon along with sites that are dedicated specifically to this market. If you choose to shop in person for your used golf balls, ask at your local course if they have a discount bin where old balls are sold for a discount. 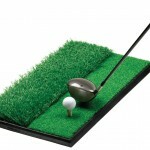 Also, driving ranges will often have used balls available, so that is a good place to check as well. For examples of the golf balls you can find on Amazon in the used category, check out the three options below. Graded at the AA level, this pack of 96 golf balls from Nitro is incredibly affordable – but it is a package that you will want to plan on using for practice only. You are likely to receive a number of used range balls along with some brand name models, so you may be able to pick out a couple of gems from the lot. When looking for used golf balls that you can actually put into action on the course, this next offer from Golf Ball Planet is a good pick. 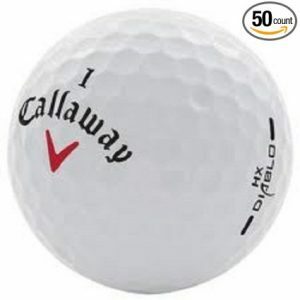 You will receive 50 Callaway brand golf balls that have been graded at the AAAA level. While you won’t know which exactly Callaway models you are going to get, at least you know all of the balls will be from a respected manufacturer. 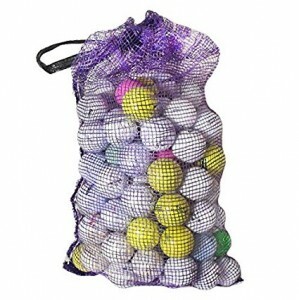 The last option on our list comes from LostGolfBalls, and it is very similar to the product above. This time, however, we are looking at Titleist NXT Tour golf balls, also rated at the AAAA level. Since you know the specific model in question with this offer, you can be sure that each ball is a fit for your game (as long as you like to play the NXT Tour ball).